As most of our readers know, donor-advised funds are small charitable funds mostly contained within larger institutions like community foundations or financial institutions. Donors place their gifts into these funds and get an immediate tax break because the larger institution that is acting as an intermediary is, itself, a charity. But from there, they pretty much disburse it at will. However, and here is the rub, the money is no longer theirs to disburse without the oversight of the larger institution, so the grant is legally made by the intermediary with the donor’s “advice.” In many cases, the oversight of such gifts is more due diligence than worthiness-based. When activity is reported in terms of such things as payout rates, the reports are based on the conglomeration of all funds in the institution. So when Texas-based couple John and Laura Arnold, under cover of anonymity, made a $120,000 grant to a donor-advised fund under the Baltimore Community Foundation to be used by Baltimore police to fund a massive community surveillance project, who knew? Apparently not Thomas E. Wilcox, the president of the foundation, and he implies that he should not be expected to. Wilcox says the foundation makes 3,000 grants a year, pretty much describing the operation as a check-writing service. Board members also say they knew nothing. 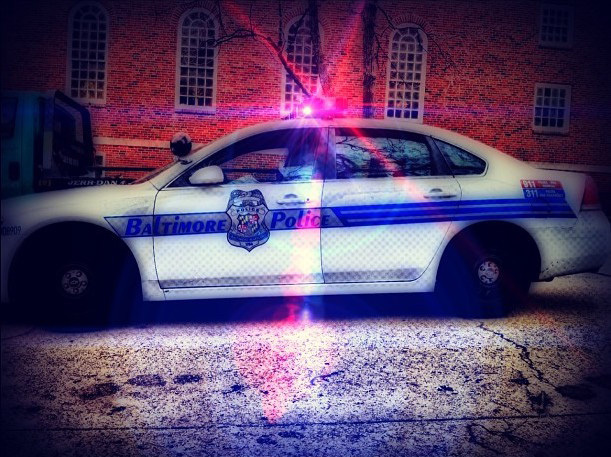 The police maintain two donor-advised funds at the foundation: one called the Baltimore Police Endowment Fund, and one called the Police Special Grants Fund. This last paid for the surveillance contract and is not listed on the foundation’s website as a fund that can be donated to. The Arnolds say, “As a society, we should seek to understand whether these technologies yield significant benefits while carefully weighing any such benefits against corresponding trade-offs to privacy.” We are assuming that by “society” they do not mean residents of Baltimore, because they did not seek to understand anything. They simply were not informed. Making the situation that much less accountable is the fact that the project never went through Baltimore’s Board of Estimates, as is required. Instead, the money was paid directly to the Ohio-based company performing the surveillance. The foundation-based funds have paid for additional projects that bypassed the Board of Estimates, including one that contracted with a California firm to overhaul the department’s operations standards. This kind of work would normally have been made to go through a bidding process, but it bypassed that whole system. The small planes deployed by the company, Persistent Surveillance, use wide-angle cameras to monitor roughly 30 square miles at once, transmitting real-time images to analysts while instantly archiving the content and storing it on massive hard drives. One would think that local citizens might have had something to say on the matter, but the secrecy of the entire endeavor sidestepped any democratic process on the issue. The Los Angeles County Sheriff’s Department quietly took him up on the offer, allowing him to conduct a nine-day trial run over Compton, a largely minority city south of L.A., in 2012. […] The city’s residents didn’t find out about the flights until a year later. Angry protesters demanded a new “citizen privacy protection policy” from local leaders, but even those leaders—from the mayor on down—hadn’t been told about the test program. “There is nothing worse than believing you are being observed by a third party unnecessarily,” Compton Mayor Aja Brown told the Los Angeles Times. It seemed as if it hadn’t occurred to city leaders that the surveillance program might be interpreted as a violation of some vital, unspoken trust. “At the hearings, nobody spoke in favor of it except for the people working for the city,” Pruce recalls. “The black community, in particular, said, ‘We’ve seen this type of thing before. This will target us, and you didn’t even come to us beforehand to see how we’d feel about it.’ ” Dayton’s city leaders dropped their attempts to hire the company after those hearings. This aerial surveillance project differed from other spending for surveillance cameras and other equipment upgrades, which were paid for through regular funds. Meet the new boss, same as the old boss? New Jim Crow author Michelle Alexander warns that if we fail to pay attention, criminal justice reform today could give rise to another form of race-based criminal justice control.